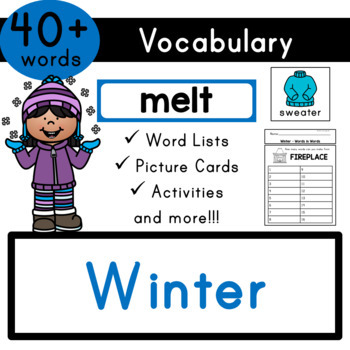 This product contains 50 vocabulary cards for Winter. Leave feedback on this item for credits! It also helps to ensure continuous quality in products. Also, remember to follow TheProdigyBox for more by clicking the green star.